Courtesy Auto Service & Tire of Tacoma, an independent tire dealer located in Tacoma, Washington, has been named a Finalist for the 2018 Tire Review Top Shop Award. The business, owned by Scott and Susan Welsh, was also recognized with national honors as a Top Shop Finalist in 2015. Courtesy Auto Service & Tire of Tacoma was founded 15 years ago. Now in its 12th year, the Tire Review Top Shop Award, presented by Coats, seeks to honor the “best of the best” independent tire dealers in the U.S., Canada and Mexico. The prestigious honor was announced the Tire Industry Association’s Tire Industry Honors Awards Ceremony in Las Vegas in October. “Being selected as a Top Shop finalist is a fantastic honor for Courtesy and an important recognition for all of our employees. 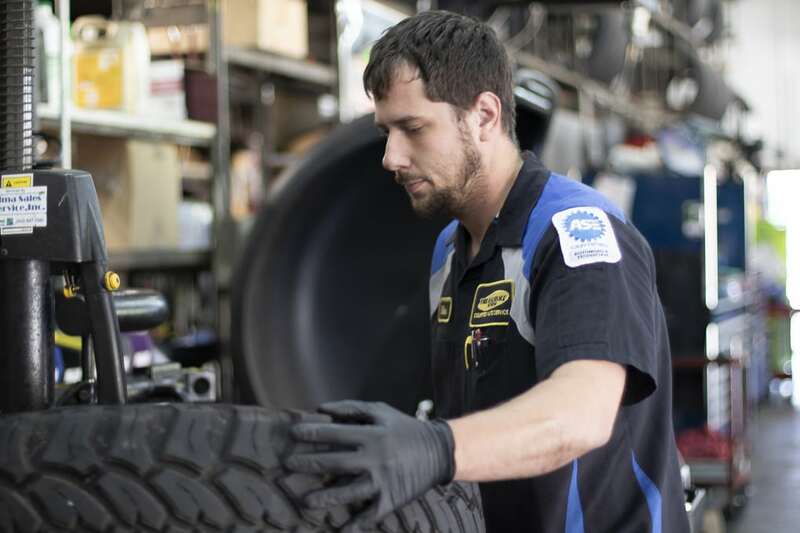 This award recognizes what we strive for everyday, to be a valuable community resource for tires, auto repair and problem solving for the motoring public,” said Scott Welsh, owner of the company. Courtesy Auto Service and Tire of Tacoma has been locally and nationally recognized for its commitment to the community and exceptional level of customer service. Tire Source, with locations across northeast Ohio. Winner this year was Tate Boys Tire & Service. Based in Oklahoma with six locations. “The level of competition was incredible this year, so I’m very proud of our finalists, among the best-of-the-best tire dealers out there,” Hoying continued. “Year after year of this competition, the North American tire dealers continue to raise the bar when it comes to professionalism, dedication and innovation. They work very hard at setting a high standard among businesses of all types – even beyond our industry. They have a lot to be proud of. To learn more about Courtesy Auto Service and Tire of Tacoma, visit them online. Continuous publishing since 1901, Tire Review (tirereview.com) is the oldest, most widely read B2B magazine serving the tire industry in the world. Tire Review magazine, published by Babcox Media, offers in-depth information pertaining to all aspects of operating and growing a successful dealership – including business operations information, marketing and sales insights, product applications, technical service-related issues, tire industry research, and annual directories and guides. Babcox Media is a major B2B publisher that covers the tire, automotive parts and service, truck fleet, power sports, collision and engine building segments with an array of B2B magazines, digital media and video products.